Southern ladies say the darndest things and a mint julep-toting, old Charleston lady once told me, “You can put a cat in the oven, but that don’t make it a biscuit.” That’s the kind, Southern way of saying that even if you move to Charleston from somewhere else and live here for a while, you’re not a true Charlestonian. Obviously, Charlestonians have no chill when it comes to hometown pride -- but we’re also irrationally passionate about a bunch of other things, too. 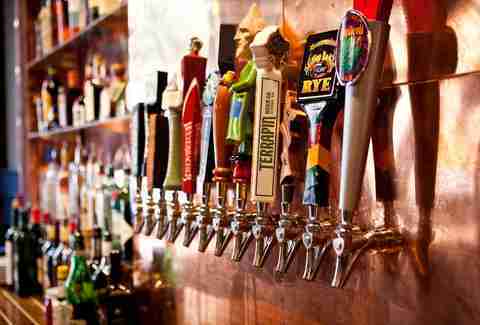 More specifically, craft beer (although there is a special place in our hearts for PBR). There are 12 breweries and three brewpubs open in Charleston right now, and each of them are successful in their own right. One might think “12 breweries and three brewpubs seems like critical mass in a city of 130,000-ish people,” but you’d be wrong. More breweries expected to open before year’s end and we’re looking forward to it. Our love of alcohol doesn’t stop at the sudsy stuff. 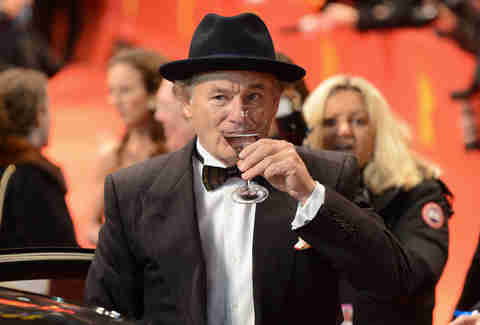 We also have a penchant for wine and liquor as well. You know how people run to the grocery store for bread and milk before a big storm? We do that, too, only we also grab six bottles of wine because, while we’re happy to weather the storm, we prefer not to do it sober. I don’t know why Ohioans receive the most vitriol of all the tourists that come to Charleston, but the phrase “Go back to Ohio” has spawned websites, bumper stickers, and even theme nights at the RiverDogs' Stadium. 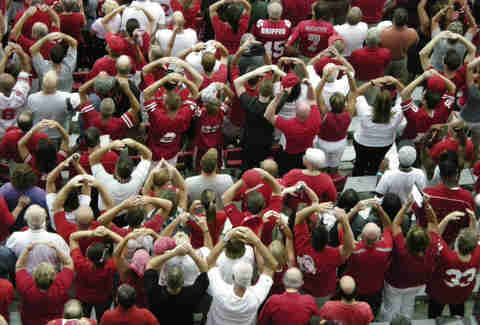 The endless Ohio winter tends to drive the buckeyes south, right into the Holy City where they drive slow, crowd the beaches, and just generally cause discontent among Charlestonians. Looking for a good icebreaker for chatting with a Charlestonian? Start with, “Boy, the traffic on 526 was terrible today” and people who aren’t even directly involved in your conversation will start chiming in with their own 526 traffic horror stories. That’s because over 90,000 cars use the 20-mile long highway daily, resulting in massive congestion during rush hour. Everyone knows the pain of having to drive 526, and most Charlestonians do their best to avoid it at all costs during high traffic times. Is it any surprise that in a city that’s oft celebrated for its culinary mastery, that brunch would be a big deal? Gone are the days when brunch was a special occasion saved for Sundays at 11am -- now you can brunch during the whole weekend and there’s even one restaurant that extends brunch until 1am (yes, we said am)! Charleston brunch menus are stocked with Southern staples like biscuits, grits, and eggs Benny. 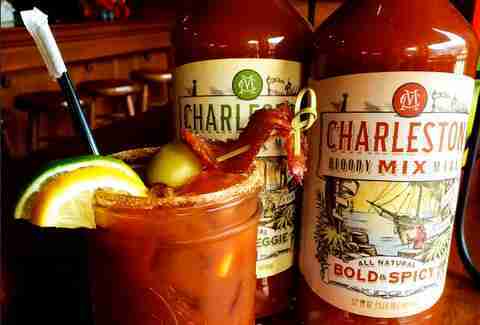 Don’t forget to pair your brunch with a classic brunch cocktail -- mimosas might be all the rage elsewhere, but there’s a special place in our hearts for Bloody Marys (we do have our own Bloody Mary mix, after all). 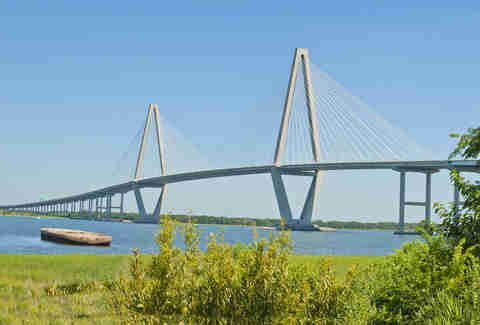 The Cooper River Bridge, aka the Ravenel Bridge (but don’t call it that), aka the only lifeline from Downtown to Mt. Pleasant, is a beautiful feat of architectural design. It also has the most problems of any major roadway I’ve ever heard of (seriously, I bet the Golden Gate Bridge doesn’t cause this much trouble). Whether it be from traffic incidents, giant chunks of ice falling onto cars, or for its annual 10k race, the CRB closes frequently enough to warrant an entire website dedicated to telling motorists whether or not it’s safe to cross. If you’re wandering down King St at night and suddenly the sidewalk looks like it’s moving, relax. That's not the booze, it’s just Palmetto Bugs crawling around. These immortal little buggers come out as soon as it starts getting warm and pretty much stick around until December. Yes, they’re technically a breed of cockroach, but don’t you dare call them “roaches,” because they are palmetto bugs and nothing you say will change our minds about that. We’ve got a tradition of giving nicer-sounding names to bad things, and this one definitely sounds less disgusting. Every time I travel and tell someone I’m from Charleston, 99% of the time they ask, “Oh, so do you know Shep/Craig/Whitney/Thomas Ravenel?” Charleston is a small town, but it’s not that small (although, full disclosure, I’ve encountered T-Rav twice recently at Cocktail Club). Many people belittle the show and its stars, lamenting the fact that our beloved city is now associated with the soul-sucking reality TV drama (similar to how Jersey probably felt about Snooki and the gang back in the early 2000s), but deep down, we love it. If for nothing else, we love to talk trash about it. This Bravo show is still ours to talk trash about. If you don’t say “Luh-Gree,” “Van-Dross,” “Pray-Low,” and “You-Gee,” then you can go back to Ohio. 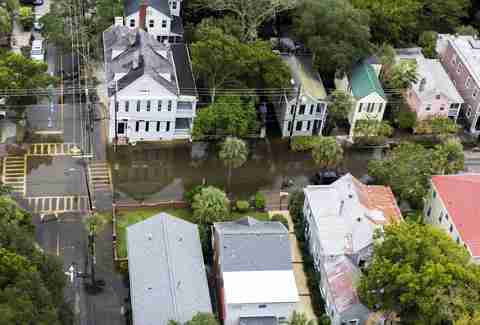 Most of Downtown Charleston is below sea level, which means that pretty much every time it rains, it floods (that’s not just an idiom for us, it’s real life). The flooding is made a whole lot worse if it happens during high tide, rendering streets and certain parts of town impassable via car (but not kayak). Charleston definitely didn’t invent the oyster roast, but we’ve damn near perfected it. 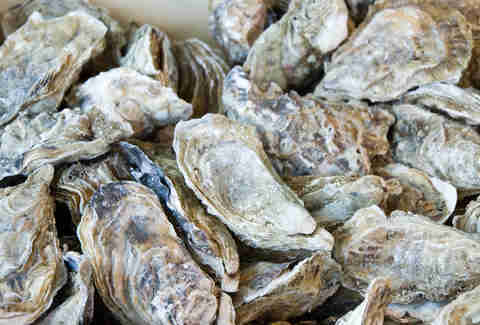 We even have an annual Oyster Festival that brings in over 80,000lbs of oysters for people to devour. Popular gifts from Charlestonians include embroidered oyster gloves and personalized shuckers that people tote with them during oyster season as a point of pride. “Locally sourced ingredients” has become a basic requirement to opening up a restaurant in Charleston in recent years. Which makes sense in a city that now has four farmers markets operating weekly for a vast majority of the year. Charleston even celebrates “Eat Local Month” every April, and offers as a number of “Eat Local” events throughout the year. Supporting our local farmers is a serious (and delicious) business. 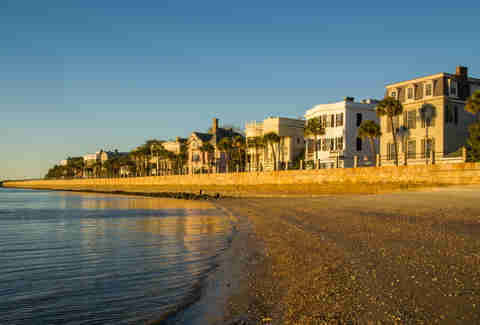 People have been known to liken Charleston to Savannah, GA, but that is just wrong. Savannah couldn’t hold a candle to Charleston. 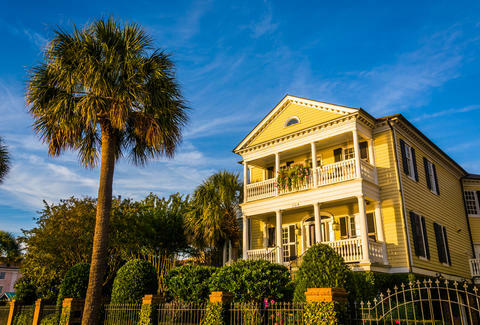 Ask any Charlestonian and they’re happy to tell you that Charleston is the best city in the world -- we just wish you’d stop telling other people so big box retailers and chain restaurants will stop invading our charming Downtown (lookin’ at you, Ohioans).